Custom imprinted plastic cups and mood color-changing cups are a great giveaway item for parties, picnics, business events, sports tournaments, trade shows, weddings and any other event where beverages are being served. 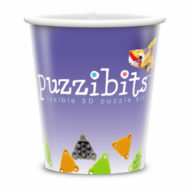 Fully customizable plastic stadium cups are a great way to promote your company or event at an affordable price. Logo cups and are used in weddings, birthday parties, company picnics, trade shows, chamber of commerce events, cook-outs, sports tournaments, festivals, school fairs, ball games, crowd gathering events and more. Customized plastic cups are a low-cost solution for a great giveaway item that it reusable and kept by many giving your business an excellent exposure with every sip. Printed promotional cups can be filled up with favorite beverages or stuffed with other giveaway goodies and presented as favors at weddings, birthday parties, and corporate events. Plastic cups imprinted with your logo in one-color, two-color, or full-color imprint will create a lasting impression for your brand. For the top-quality, low-cost logo imprinted plastic cups, mood cups, and stadium cups, shop with Progress Promotional Products! We offer fast turn-around times, low minimums and low prices! Choose from many vibrant solid cup colors or pickyour favorite color change plastic cups to highlight your brand! Create a memorable first impression with our full-color reusable clear plastic 9oz stadium cups! The clear aspect lets you add incredible visual impact with vibrant translucent colors and dynamic effects created by mixing opaque and transparent areas. You control, through your art, which areas are clear, translucent, and opaque. With all of this visual flexibility, you can easily create a powerful first impression. And, since this cup clearly has the look and feel of a durable, reusable cup, you generate additional exposure when the cup is taken home and used over & over again. Stock Backgrounds Available – Please Inquire! Create a memorable first impression with our full-color 9 oz plastic stadium cups! Their durability and impressive graphics give your prospects a reason to take them home generating additional exposure when they reuse the cup over & over again. Plus, our plastic cups are built with 19-20 mil thick polypropylene that will not shatter or crack like lesser plastic cups. Use our plastic cups to deliver a powerful 1-2 punch with your next promotion! Brighten the mood of many with the 12 oz. Mood Color Changing Stadium Cup. Made in USA of durable plastic. 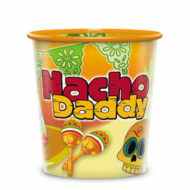 Available in 10 vibrant colors, this cup changes color with ice cold liquids. Choose this fun item as a favor for your outdoor event. Top shelf dishwasher safe. Need it Faster? Free 24-Hour Production Available – Please Contact Us for Assistance!